Just kidding...or at least, the seller Lita Lita was just kidding. This was an April Fools joke (a brilliant one, I might add). No, there wasn't actually a resource that had kids learning about shiplap and estimating budgets with cheery Chip and Joanna Gains graphics (but hmmm....should there be? *grin*). 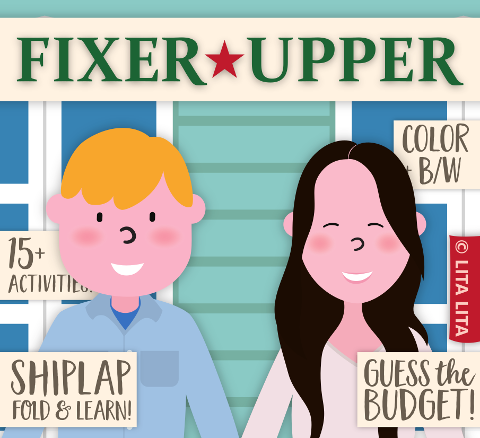 Actually, I got curious and after searching TPT I did find a REAL math resource with a Fixer Upper theme (for 6th - 8th graders), and I also found several classroom decor resources inspired by the show and a bunch more by searching shiplap. Ha! :-) Well, your April fools joke was wonderful. Thanks for letting me share it! Please email me for a blog opp! Mycrazysavings@gmail.com I have something fun!